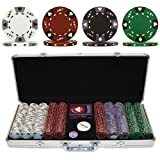 aluminum | Buy Poker Chips Sets at the best prices! 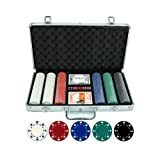 Cardinal Industries Poker Set in Aluminum Case is a classic game for hours of fun. 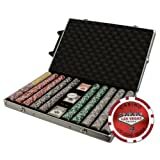 Includes 200 dual-toned poker chip and one deck of poker cards plus dealer chips. 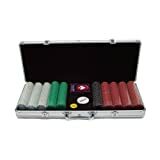 It is housed in a beautiful and sturdy aluminum case. 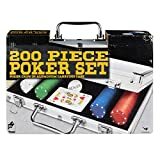 A take anywhere set for the poker players in your family and complete instructions for Texas Hold’ em.